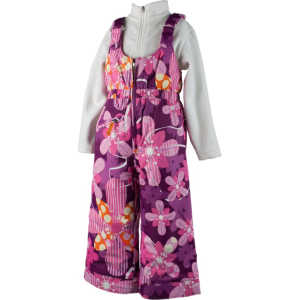 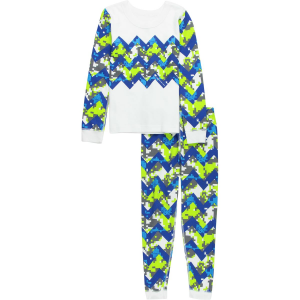 Decked out in cheerful pattern prints and stuffed with toasty insulation, the Obermeyer Toddler Girls’ Snoverall Print Pant keeps your little snow angel protected from winter’s harshest weather without sacrificing fun, playful style. 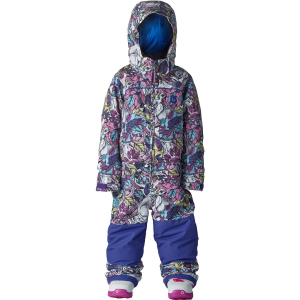 PermaLoft insulation through the pant’s body (100g) and seat (60g) optimizes warmth without sacrificing mobility when she’s mastering her pizza-french fry technique on the bunny hill and building backyard snow forts. 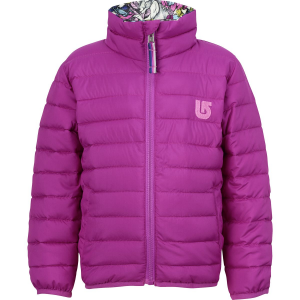 HydroBlock sport membrane (10k/10k) keeps her nice and dry through mid-winter blizzards, deep powder, and late-season slush runs. 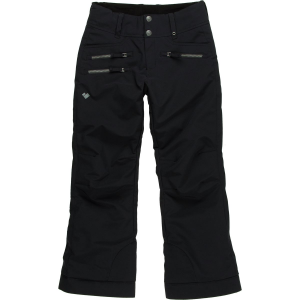 Additionally, the I-Grow cuffs lengthen the pant’s cuffs by two inches to accommodate growth spurts, thereby extending the pant’s use through another season.